Erdogan, whose party lost Turkey’s internal elections, insists on purchase of Russian S-400 missiles, may find itself eased out of NATO. For the first time since Turkey’s Islamist leader Recep Tayyip Erdogan ascended to power, he’s in trouble at home, while at the same time the tyrant is risking a major confrontation with the United States. Erdogan’s AKP party lost the March 31 municipal elections to the secular ultra-nationalist MHP party which used to help the AKP party to establish its Islamist regime. As a result, for the first time in a quarter-century, Turkey’s main population centers such as Istanbul and Ankara will be governed by secular politicians and not by Islamists who take their orders from the Turkish strongman. This means that Turkey’s economy will be largely controlled by the opposition since the country’s major cities count for more than half of Turkey’s GDP. 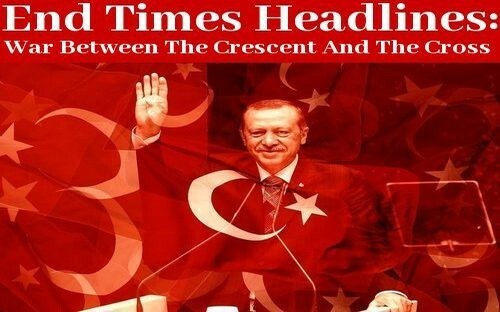 Erdogan tried to manipulate the local elections by nominating close allies such as parliament speaker Binali Yildirim and his Economy Minister Nihat Zeybekci and turned the local elections into a referendum on his rule. When polls and surveys showed that the AKP party was trailing, Erdogan did what he is best at: He started to demonize his opponents, blaming foreign governments for Turkey’s ailing economy and using religion to mobilize the masses. Gaza, Jerusalem, Mecca, and Raqqa were more important topics in Erdogan’s campaign than the improvement of living conditions in villages and cities in Turkey. The residents of major Turkish cities apparently saw through Erdogan’s manipulations and rhetoric, and voted in the MHP party by a clear majority. Erdogan now refuses to concede in Istanbul claiming the election there was invalid due to fraud at polling stations and demands a rerun of the voting. Losing Istanbul and Ankara could have devastating consequences for Erdogan’s rule over Turkey since they form the backbone of his autocratic regime, observers say. “Erdoğan, seemingly on his way to being a modern sultan, no longer seems invincible,” Doug Bandow, a senior fellow at the Cato Institute wrote this week. The loss in the municipal elections is the result of economic mismanagement by the AKP government which caused the Turkish lira to lose 30 percent of its value last year and the near collapse of Turkey’s economy. The country has slid into recession where unemployment and inflation are rising all the time. “The opposition’s revival is good for the people of Turkey, who are suffering under Erdoğan’s increasingly authoritarian rule, as well as for Western governments, which should no longer view Ankara as a friend and ally,” according to Bandow who added that Turkey should be kicked out of NATO. The Cato Institute fellow was referring to Erdogan’s decision to purchase the state-of-the-art Russian S-400 anti-aircraft missile shield, a decision that drew the ire of the Trump Administration. The Administration has already decided to stop the delivery of equipment for the F-35 stealth fighter plane to Turkey in order to pressure Erdogan and demand he cancel the deal with Putin’s Russia, but the hot-headed leader refuses to comply. The S-400 missile shield is considered the world’s most advanced anti-aircraft system and the deal between Russia and Turkey is threatening Israel’s air superiority in the Middle East. Washington is considering the purchase of the Russian system, a threat to the NATO since the deal would jeopardize the secrecy of its own and NATO weapon technologies and has offered to deliver the rival Patriot missile-shield to Turkey. Erdogan, however, made clear he would not budge and vowed to go ahead with S-400 purchase while at the same time showing interest in buying the Patriot system on his terms and as an addition to the Russian system. Congress has now adopted bi-partisan legislation that will scuttle the F-35 deal altogether whenever Ankara decides to go ahead with the purchase of the S-400. Delivery of the S-400 system and the F-35 to Turkey would expose the weak spots of the American stealth jet to Russia, experts warned. Tensions between the US and Turkey reached boiling point last week after Secretary of State Mike Pompeo warned Erdogan’s regime of “devastating consequences” if the Turks go ahead with their planned invasion of Kurdish-held regions in Syria. Erdogan and his Foreign Minister Mevlüt Çavuşoğlu have repeatedly warned a Turkish invasion in what the Kurds call Rojova, the Kurdish autonomous region along the Turkish border in Syria, was about to begin but apparently, Ankara fears the American response to this new aggression against the Syrian Kurds. Unilateral action in Syria by the Turks would have devastating consequences, State Department Robert Paladino told reporters last week after a meeting between Çavuşoğlu and Pompeo in Washington. Paladino’s remarks led to a new row between the Erdogan regime and Washington with Çavuşoğlu charging that the United States hasn’t “a clear strategy” Syria. The U.S. recently decided to leave 200 military advisers in Rojova whose presence is meant to deter the Turks from attacking the Kurdish-dominated Syrian Democratic Forces, which together with the US army defeated Islamic State in Syria. “Rather than desperately attempting to hold Ankara in NATO, the allies should begin considering how to ease Turkey out,” the former special assistant to President Reagan added.